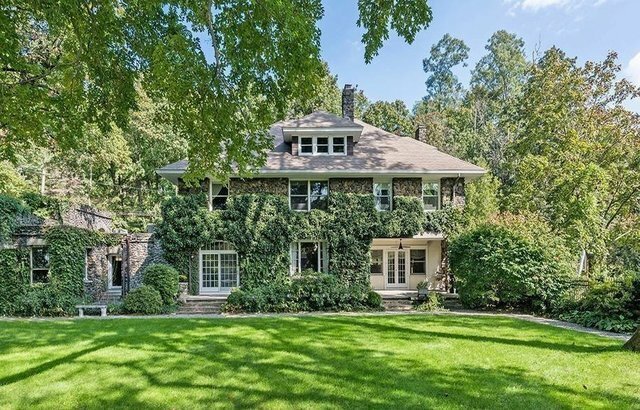 Created in 1900 as a mile long compound of stone houses paralleling the Hudson River, the Stone Houses of Croton have been renowned as an enclave of artists, writers and celebrities for generations. Isadora Duncan, Edna St. Vincent Millay and Alexander Calder, along with many other notable figures, resided here. Built by Elisabeth Farrington Stevenson, an illustrious figure and socialite of the day, one of these magnificent row of houses, The Stone House, has been completely renovated and updated while retaining its artistic flair and is ready for today's style of living. With an inviting living room and French doors to a covered terrace; a light-filled gourmet kitchen; and a well-proportioned dining room with original fireplace and cabinetry, it's the ideal setting for relaxed entertaining. The LL features a gym, family room & climate controlled wine cellar. Outside, terraced lawns, a heated pool, outdoor fireplace, and basketball court are perfect for recreation and gatherings.